THOUSANDS of Limerick worshippers rose early Sunday morning to travel to the heart of Phoenix Park to witness the biggest religious spectacle of the century to date. Minute by minute, one of the largest public parks in Europe began to filter through thousands of ardent Christ followers, each to listen to the words of Francis, the 266th pope. To the sound of heavy brass, Pope Francis greeted the hundreds of thousands via his cruising popemobile at around 2.30pm, before arriving at the stage at 3pm for the commencement of Sunday’s Mass. And addressing the cohort of his Irish and international followers, Pope Francis began by begging for forgiveness for the Catholic Church’s sexual abuse in Ireland. In this historic unplanned speech, the head of the Vatican asked for forgiveness for members of the Church for a range of abuses committed by its members. "We ask forgiveness for the abuses in Ireland, abuses of power, of conscience, and sexual abuses perpetrated by members with roles of responsibility in the church. "In a special way, we ask pardon for all the abuses committed in various types of institutions run by males or female religious and by other members of the church, and we ask for forgiveness for those cases of manual work that so many young women and men were subjected to. We ask for forgiveness," he said on the final day of the World Meeting of Families celebration. The Pope continued: "We ask forgiveness for the times that, as a church, we did not show the survivors of whatever kind of abuse the compassion and the seeking of justice and truth through concrete actions. We ask for forgiveness." "We ask for forgiveness for some of the church hierarchy who did not take charge of these situations and kept quiet. We ask for forgiveness. "We ask for forgiveness for all those times in which many single mothers were told that to seek their children who had been separated from them - and the same being said to daughters and sons themselves - that this was a mortal sin. This is not a mortal sin," Francis added. The weekend marks the first papal visit to Ireland since Pope Saint John Paul II in 1979, which was described as an “historical moment”. 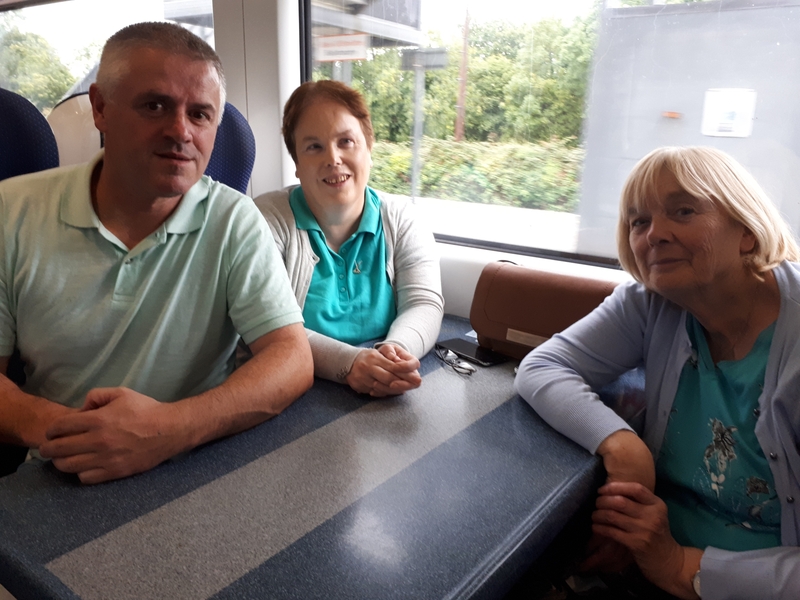 Travelling from Colbert to Heuston Station that Sunday morning were Sheila and Paddy Deegan, who were both at that special Mass at Greenpark on October 1, 1979. 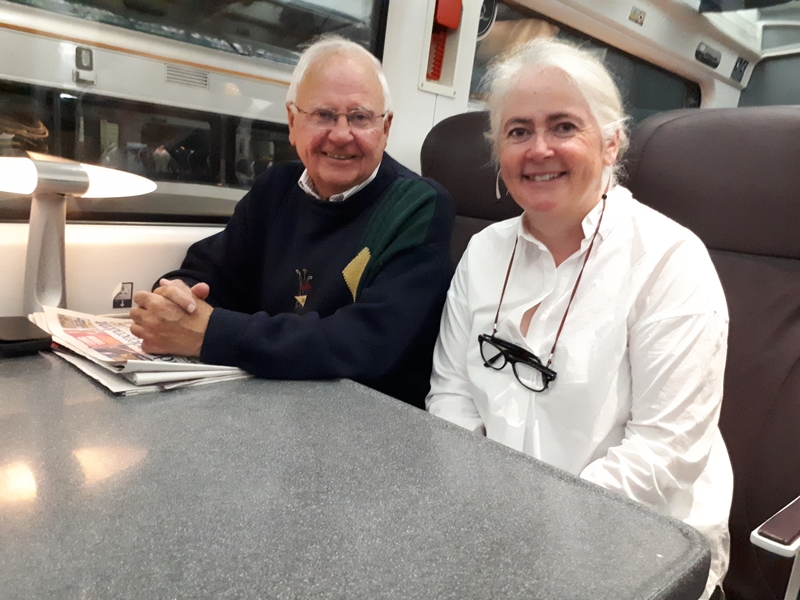 The 81-year-old Clareview man wasn’t sure if he was going to attend due to the lengthy walk to Phoenix Park, but he was delighted to make it with his daughter, who is Limerick City and County Council’s arts and culture officer. Chrissie Lewis from Knockainey was supportive of both Pope Francis and the victims of abuse. She said: “The poor pope, he’s shoved into this now for three days. And they all think, like, the pope is here, he will fix it all. He can’t fix it all. “I seen him there last night now, and I know it looks lovely on the television, but I’d love to say: ‘Take that man home and put him to bed now’,” she told the Leader on the 8.25am train. Caherdavin David Burke, 15, who was excited about seeing the pope for the first time said the Church would benefit if more young people attended Mass. The next World Meeting of Families will be held in Rome in 2021, it was announced at the end of the Mass.